Standard Stratocaster Satin [2013-2014], STC-Shaped Guitar from Fender in the Standard Stratocaster series. 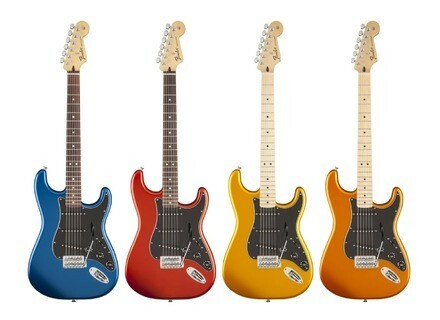 Fender announces the availability of four new satin finishes for its Standard Stratocaster and Telecaster Series. Both Standard Stratocaster and Standard Telecaster are now available in four urethane Satin Arizona Sun, Blaze Gold, Ocean Blue Candy and Flame Orange finishes, with a 21 medium-jumbo rosewood fingerboard. The bodies of both models are made of alder, with maple necks (C shape). Fingerboard radius is 9.5" and scale length is 25.5". The Standard Telecaster Satin guitars are equipped with two Standard Single-Coil Tele pickups, a 3-way pickup switch, one volume and one tone controls and the bridge is a 6-saddle Tele type with strings-thru-body configuration. 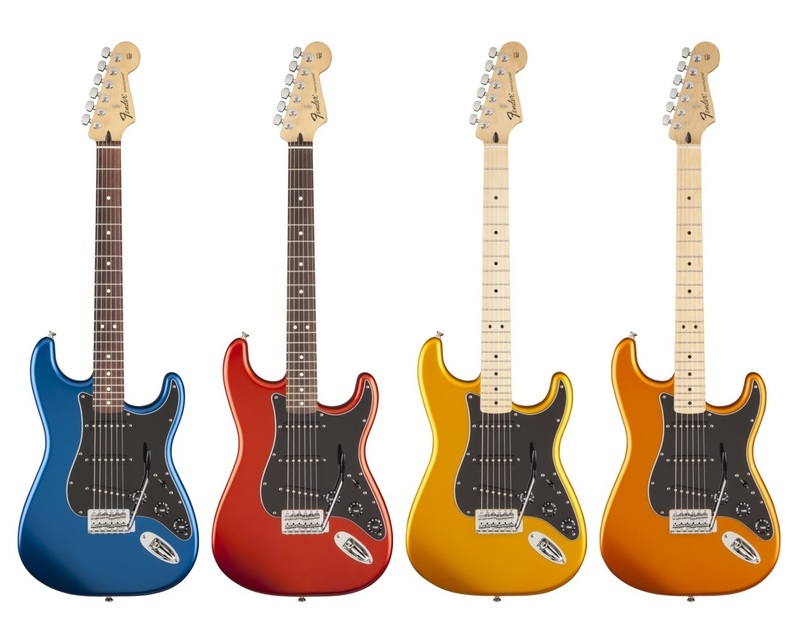 The Standard Stratocaster Satin received three Standard Single-Coil Strat pickups, a 5-way pickup switch, one volume and 2 tone controls (one per pickup). The 6-saddle bridge is completed with a tremolo. Pricing has not been communicated. Airline Jupiter Pro Dallas Green guitar Airline has updated its Jupiter Series and announces the release of the Jupiter Pro Dallas Green Signature guitar, a hollow-body with plain top. Cleartone Strings launches Heavy metal strings Guitar and bass string specialist Clearton Strings announces the availability of a new series intended for heavy metal players.